If you are living within or nearby the Joondalup, Perth area and looking for teeth whitening treatments, book in a consult with us today. What is a Teeth Whitening Treatment? Teeth whitening treatments is a cosmetic medical procedure to restore your tooth colour to its natural tooth shade or improve the whitening above the teeth current shade. There are 2 types of Teeth Whitening Treatments that are carried out at our clinics, the Take Home Teeth Whitening Kits and In Chair Teeth Whitening. A take home teeth whitening treatment it will require the patient to come in for a consultation and then at the consultation the dentist will let you know if you are a suitable candidate for the treatment. If you are, then a shade test help see what is your current tooth shade and for the patient to let us know which shade they would like to achieve. After that, there will be taken and then impression will be taken for a custom teeth whitening tray to be made. The clinician will also provide instructions to the [patient on how to use the custom made trays and how much teeth whitening product to apply on the trays based on their treatment plan. Once the customer teeth whitening trays are ready, they are placed in a kit along with the teeth whitening gel for the patient to take home and use. Please be advised the concentration levels of the teeth whitening gel for a take home kit would not be as strong as the in chair treatments as only a registered clinician can apply a higher concentration level of the teeth whitening product during an in chair teeth whitening treatment. At an in Chair Teeth Whitening treatment, the dentist will be able to use a higher concentration teeth whitening product. This would provide a whiter tooth shade. A full examination is required before proceeding with a teeth whitening treatment as not everyone is suitable for the treatment. The dentist will require to see the current condition of your teeth if there are any urgent issues to be resolved first. If the patient is suitable for the treatment, a shade test will be carried out to take the current shade of the patient’s teeth and show the levels of a whiter shade that the patient would like to achieve. After the shade test, the patient’s gums and papilla will be painted with a lightly-cured to diminishes the odds of any chemical burns around the delicate areas surrounding the teeth. A hydrogen peroxide product is used the LED light which causes the bleaching effect on the teeth that improves the tooth shade. There are several kinds of lights which can be used during a teeth whitening procedure. The common ones used are LED, Plasma or Halogen lights. There will be some increased levels of sensitivity to the teeth during the process. Please advise the dentist if it is causing any pain or discomfort during the procedure. The dentist can prescribe some pain relief options or encourage the patient to use the take home kit as it has a lesser concentration of the teeth whitening product. Why Choose Joondalup City Dental for your Teeth Whitening Treatments? We have had a long running dental hygiene program at our practice which patients can attended to with well experienced clinicians. We use the latest technology and procedures in dentistry. Our clinicians qualifications are recognised within the ADA (Australian Dental Association) and have years of local Perth experience. 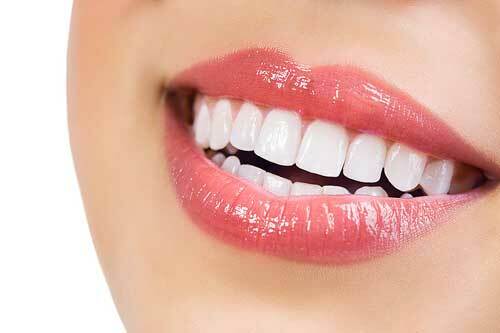 Book a consult today with for your teeth whitening treatments in our Joondalup, Perth clinic. Any surgical or invasive procedure carries risks. Before proceeding, we encourage you to discuss these matters with an appropriately qualified dental practitioner.